The first thing that I should warn you about: I don't think that I fully understood this book nor would I say that it is a Christina book. I'd keep these considerations in mind while reading the review below. I read and enjoyed She Is Not Invisible, but I also knew that I hadn't understood everything there either. 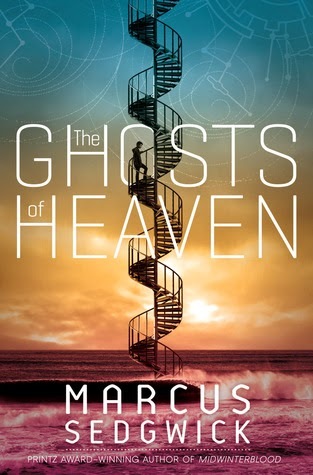 This book is much more epic in scope than She Is Not Invisible, yet I think that is why my experience with The Ghosts of Heaven differed slightly from that with She Is Not Invisible. This book is divided into four quarters: "Whispers in the Dark," "The Witch in the Water," "The Easiest Room in Hell," and "The Song of Destiny." As Marcus Sedgwick explains in his introduction, all four quarters are interconnected with spirals, the meaning of which is frequently questioned. This is one of those books that makes me think: idea, character, or plot/world? What drives the narratives that you most enjoy? For me, it's character. This book, to me, seems more about the idea. Several characters, several plotlines -- but it's so hard to care about every one of those plot lines and characters, and for someone who is a character oriented reader... well, that's quite simply why Laurel's journey in She Is Not Invisible was much easier for me to sympathize with. Most of the time I agree with Kirkus Reviews on how I feel about a book, but idea-books (at least) seem to be literarily very well received even if they're not as easy, for me, to read as other books are. Anywho. "Whispers in the Dark" is a prehistoric tale of survival and the search for self-identity focusing on a girl and her tribe in sparsely told verse. I don't generally like verse - I find it hard to read, harder to feel involved in the story - but I actually really liked this story since it had the traditional elements of a young adult novel: a girl maturing (her period), a choosing sort of ceremony (what future lies ahead), threats to her identity, conflicts between wants and needs (learning about the magic her elder uses and doing the job that she was assigned), etc. But, as much as I enjoyed the story, I couldn't identify with the girl. It's amazing how a simple thing like a name can affect your reading experience so much yet undoubtedly naming the girl would not have fit with some of the prehistoric feel and would have limited some of the scope. "The Witch in the Water" - well, it's obvious what this is about, no? Reminded me of The Crucible, but with more focus on the old New England type village and a changing third person past perspective. I can't talk about this one fairly; it was my least favorite of them all, and that has nothing to do with how Marcus Sedgwick wrote the story. I cannot tolerate stories about sexist times, like accusing a girl of witchcraft just because you can. Because she didn't return your affections, or she is the object of affection from someone you like, etc. Or you're a priest set on "rooting out evil." BLERGH NO. I'm pretty sure my hatred of this story type bled into me not being able to notice as much about the spiral pattern here too. "The Easiest Room in Hell" - through the eyes of the new assistant superintendent at an asylum, we learn about a poet who knows more than he's letting on about everything. The last two stories were my favorites because things started to get creepy. The first person perspective of this allowed for me to care about the superintendent even as I was horrified again by the story type (the way they treated patients in asylums back in the day! a story type that I do not like to read any more than I do of witch trials). As the superintendent grew fascinated with the poet, so did I. If nothing else, read this story and the last story. Marcus Sedgwick also begins to tie all the spiral patterns together and so through this story, I started to care more about the idea of the spiral pattern. Plus the horror and suspense helped. "The Song of Destiny" - Told in third person present tense, it focuses on Bowman, one of the sentinels who act as guardians of the 500 passengers headed to colonize another world. There's a lot of fascinating world-building here and this lends the book its science fiction flair. Clearly Marcus Sedgwick did research on space travel and astrophysics, etc. Once you get past the first chapter, the plot of the story picks up; and this story probably has the most shocking revelations of all four plus the final threading together of what all the spirals mean. The spiral is life. The spirals are thought-provoking. I probably will not be able to look at a spiral in the same way after reading this book. I also greatly admire how Marcus Sedgwick switched writing styles and PoVs throughout the book, and with great finesse too. There's no doubt that this is a well-written novel. 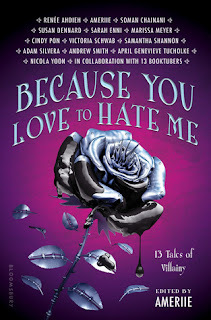 If you're looking for something more literary oriented and different from other YA that you've read because of its genre-defying epic scope, you've found your treasure here. Me too! Idea is nice, but the surface level story for me, related to characters and plot, always determines my level of enjoyment of a book even if my mind admires the themes and whatnot. Maybe another one of Marcus Sedgwick's books will be for you? She Is Not Invisible was more focused on the MC and her journey.